The Winter edition of our Newsletter is now available! Read about what’s been happening in school this term along with faculty news and lots of other useful information. Tap here to read the Winter 2014 newsletter. Previous copies of the Newsletter are also available on our website here. 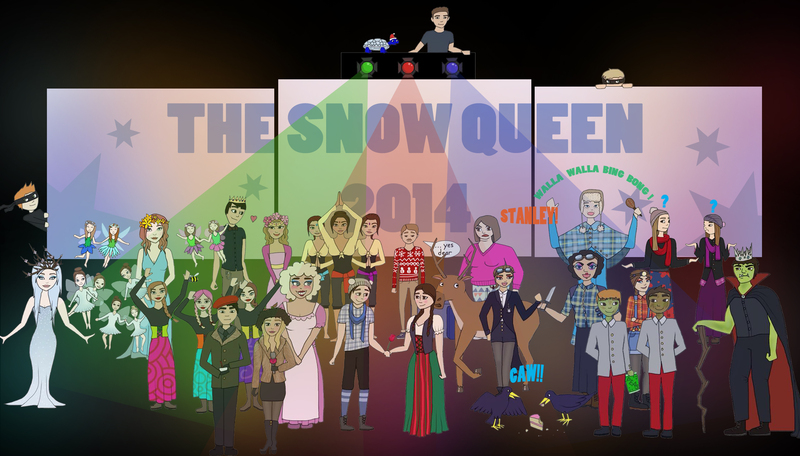 Jane Ambler in S3 created this amazing Snow Queen picture using the App Sketchbook along with Photoshop! Last night saw the final performance of this year’s spectacular panto The Snow Queen. Over two days and three shows the students and staff entertained a combined total of more than 700 people! You can see our official photographs below, including some behind the scenes images. Thank you to all staff and students for taking part in the NSPCC Number Day Step Up Challenge on Friday the 5th of December. Thanks to your generous donations, so far we have raised £418.88 for the NSPCC. We will find out the winning house this Friday when students will complete the follow up Numeracy activity in Tutor Group to find out how high they climbed!